Although there are no human clinical trials using raspberry ketones for weight loss, there is evidence which makes this compound very interesting and very promising as a healthy and effective way to lose weight. 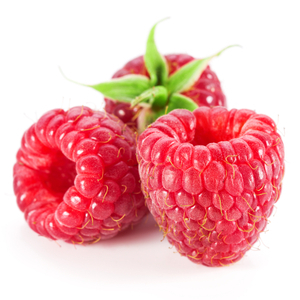 Raspberry ketones are compounds that give raspberries their flavour. They have been used for a long time as a flavouring agent in the food industry with a long safety record. They are derived from raspberries or can be synthesised in a lab. Only recently was an interest sparked in their ability to decrease fat. The main studies conducted on raspberry ketones were done on mice, rats and in vitro (that is in test tubes and on petri dishes). Although these types of studies can not be compared to well designed human clinical trials, they are the first steps in determining if the compound in question is effective. This is mainly due to the fact that mice and rats are easily tested in labs and that these species have a similar metabolic system to humans. So what where the results of these studies? The mice study fed mice a high fat diet and raspberry ketones (in the amount of 2% of the body weight daily) for 10 weeks. The results showed a significant reduction of fat in the liver and under the skin. In rats the raspberry ketones increased norepinephrine induced lipolysis. Norepinephrine is one of the main substances in our body that increases heart rate, blood pressure, alertness, and fat breakdown and lipolysis just means fat breakdown. In the in vitro studies raspberry ketones where shown to increase the breakdown of fat cells. These are very interesting results but one may argue that 2% of body weight is about 1.4 kg of raspberry ketones per day for a 70 kg person, an unrealistic feat to say the least. The mice were not tested with lower doses of raspberry ketones. As a result, we do not know if lower, and therefore more reasonable doses for human consumption, are also effective. However, the mice were fed a high fat diet and still lost fat. One may reason that if a low fat diet is maintained the effect of losing fat would be even more impressive or that the same amount of fat could be lost at much lower doses of raspberry ketones. The other very interesting point is that one of the ways that raspberry ketones decrease fat is by increasing a hormone called adiponectin. This is such an interesting hormone that I decided to write a blog about it sometime in the near future. This compound is a protein hormone that is released by fat cells in order to “burn” fat. The more adiponectin there is the less fat. It plays a pivotal role in sugar regulation and in fat oxidation (i.e. burning fat for energy). Its levels are naturally increased due to exercise. What is also interesting is that the more overweight a person is, the more adiponectin is released when exercising. Adiponectin’s primary functions are fat oxidation (i.e. burning fat for energy), decreasing gluconeogenesis (i.e. the making of sugars from amino acids), increasing the uptake of sugars into the liver and muscle, protection of endothelial cells from atherogenic formation (i.e. preventing cholesterol plaques in arteries, which leads to heart attacks and strokes), increased insulin sensitivity (thus preventing and treating diabetes type 2), and overall weight loss. This miraculous molecule has been shown to paly a pivotal role in the metabolic derangements that may result in obesity, type 2 diabetes, non-alcoholic fatty liver disease, atherosclerosis (i.e. arterial plaques) and the metabolic syndrome (the combination of obesity, hypertension and type 2 diabetes). Unfortunately, being a protein, adiponectin can not be taken orally due to the fact that it gets broken down by digestive juices and enzymes before absorption. Taking it intravenously presents serious logistical challenges. The only safe ways to increase its levels are either by exercise or by certain supplements. Raspberry ketones show a lot of promise in the ability to increase adiponectin safely and naturally. Although human studies are not yet available, the present evidence, the long safety record and their ability to increase adiponectin levels make raspberry ketones very interesting in their ability to burn fat, and make us lose unwanted and unhealthy excessive weight. Categories: Weight Management | Tags: herbs | Permalink.